The days of the high ankle, eight pound hiking boot are over. Of course, if you need a heavy hiking boot for rough weather, you can still find one. However, the best hiking shoes for men available today mean that you can get great support, water protection and wear in a shoe! 1) Stability, particularly when moving around in rough terrain. Hiking shoes soles are wider than your foot, giving you plenty of gripping rubber to lean into as you move from rock to rock. 2) Water protection, to keep your feet as dry as possible. This includes breathability in the upper to allow sweat to wick away as you perspire. It can also help if you know how to waterproof leather boots properly. 3) Cushioning, both on the sole of the shoe and across the upper and tongue. Many of the shoes listed below have a removable insole for users who need a custom orthotic or special appliance. This is particularly important if you have a narrow foot or a high arch; most hiking shoes focus on medium arch support at best. 4) Grip. It can be tempting to wear a good athletic or walking shoe when hiking. However, while many of these shoes are great for sidewalks or indoor work, the molded bottom of a hiking shoes is built not only to support your foot but to move water, mud and other products that can cause you to lose your footing out from under your foot. Slush, snow, and mud can all get dangerous if they prevent your foot from making at least partial contact with a solid surface. Hikers are built to clear away the muck and get you on solid footing. These shoes are built to move! 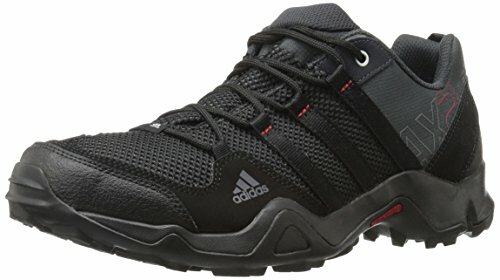 It should also be noted that the Adidas Ax2 hikong shoes for men are built for thicker socks; you will probably find that these hikers are sized large, so if you’re planning to wear them on summer outings with no or light socks, consider ordering half a size down. 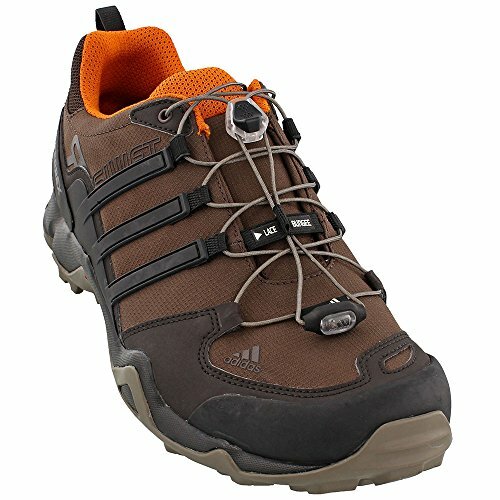 Not only will the Adidas Ax2 serve you well on hiking trails, they’ll also work well on any hard surface, wet slippery grass, or muddy terrain. The soles are quite hard and have a heavy tread. Some runners enjoy these shoes for running on rough trails and hard surfaces. If you prefer a more flexible running shoe, you may find yourself fighting the heavy sole of the Adidas Ax2. This hiker is built of mesh material and requires no tying. It has a very low collar to reduce chafing around your ankle as your foot flexes. Be aware that the Adidas Ax2 is not waterproof, and the low profile makes it less than ideal for snowy conditions. 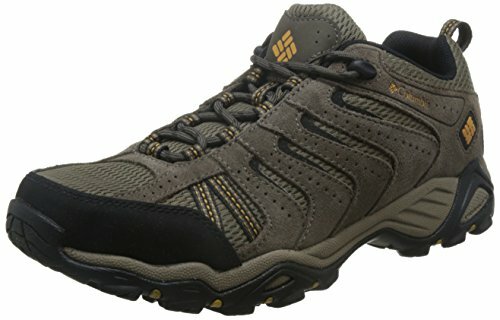 Columbia hikers and walking shoes are true to size and offer great grip and support for daily use indoors as well as outdoor hiking and walking treks. These hikers offer Omni-Grip non-marking traction rubber soles for great grab on wet or icy paths. 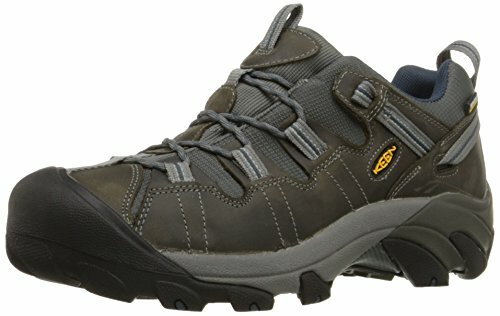 The Columbia North Plains II hiking shoes for men are well padded for long hikes. Some users find the heaving padding at the top of the shoe can take some breaking in. However, most users have good luck working with the stretch in the laces while the shoe molds to the foot. Per the description, the Columbia North Plains II is waterproof and seam-sealed. Some users have struggled with leaks, either around the top of the shoe or across the mesh that covers the toe box. However, many users have taken their Columbia hikers into wet, rough conditions and not suffered wet feet! KEEN hiking shoes for men offer users plenty of flexibility, including a removable shoe bed should you need an insert or corrective orthotic. In addition, these shoes offer a thick heel, plenty of cushioning and amazing traction in the snow. You don’t have to hike to enjoy KEEN hiking shoes; they’re an ideal shoe for anyone who does a lot of indoor walking on hard surfaces. Several users who struggle with plantar fasciitis have found relief in these shoes. Per the manufacturer, these shoes are water-resistant. Unless you wind up walking through very large puddles, your KEEN hikers should provide you with great support, reliable traction and dry feet at the end of your trek. The Salomon X Ultra Prime is a shoe that’s built to move. These shoes have a flexible rubber sole with plenty of grip. While this hiker doesn’t contain a water-proofing layer of Gore-Tex, many users find that these shoes will protect your feet from water under normal conditions. If you plan to run a tough mudder, you may want to invest in a water-proof shoe. 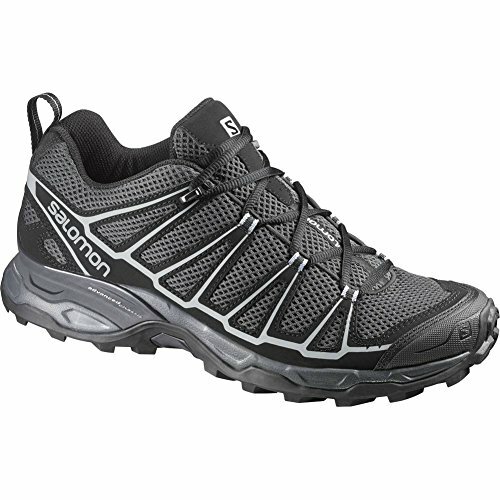 The traction on these hikers is excellent, and outdoor enthusiasts from deserts to snow country rely on their Salomon X Ultra Prime to handle rough or slippery terrain. Thanks to the low collar at the top of the shoe, you’ll have plenty of flexibility as your foot flexes. It should be noted that some users find the slipperiness of the tongue material and the laces problematic. The inside of this shoe is quite soft, thanks to great padding and the lining material. However, you may find that the tongue slides around more than you are used to. These shoes are built to protect your foot from any terrain or pressure. The sole is built with both an arch support and an air cushion to keep you on the trail! They are built to be waterproof and, when properly laced, will protect your feet from snow and puddles. One of the drawbacks to a waterproof shoe is that you’ll lose breathability. Of course, if you need breathable hikers for hot climates (or if you’re prone to sweaty feet) these may not be a great choice. Also, if you need a removable insole, these are not your best choice. However, if you hate a break-in period, the Merrell line is a great choice. They’ll work well for mountain trails as well as a full day of work on concrete. Users strongly recommend always unlacing these shoes before removing them; you’ll speed the wear of the padding at the back of the shoe if you remove them while tied. 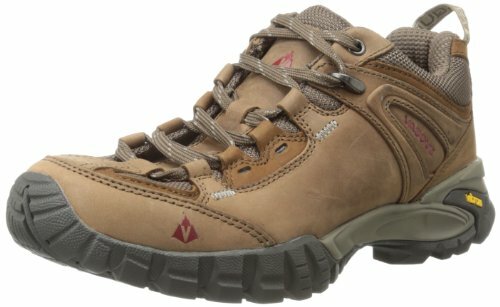 These lightweight hikers are built to wrap and protect your feet in ease; you don’t even have to tie the laces! The lace mechanism is instead a loop with a slider that allows you to tighten the shoe once you’ve got it on. This may take some getting used to, but will save you having to stop and tie your hiker. The Adidas Terrex Swift R is well suited to most any warm weather outdoor activity. From desert hikes to disc golf, the well-designed sole of these lightweight hikers can give you steady footing on most any terrain. Many users have one pair for work and one for fun; these are also great shoes for walking on concrete all day. These shoes are quite breathable and can keep you cool, but probably won’t protect you from a great deal of water. 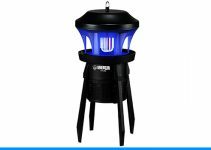 They’re easy to clean up; just let them dry and brush away any dirt or debris. 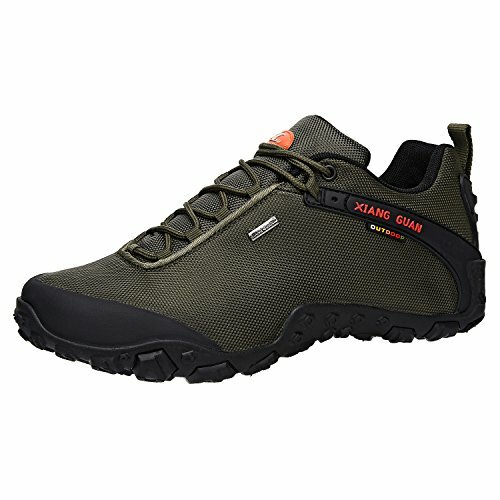 While most hiking shoes have a lot of stitching detail across the uppers of the shoe, the Xiang Guan is a very sleek hiking shoe. This smooth finish makes it possible for many users to wear this shoe to work and not break dress code! In addition, it’s lightweight and will pack easily for travel. This is a water-resistant shoe; if you’re working or playing in extremely wet conditions, you may struggle to stay dry in this shoe. 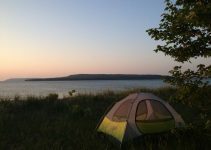 However, most users found that this hiker gave them the water protection they needed. When you do get to take them out on the trail, you’ll find that these hikers offer great gripping power and breathability. It should be noted that this is a low profile hiker; your ankles will be exposed and not wrapped in a supporting collar. However, these are extremely stable shoes and offer users great control on rough surfaces or concrete. 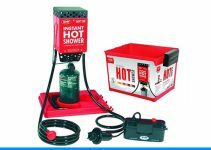 For hikers who like to get out in the heat, this is a great option. 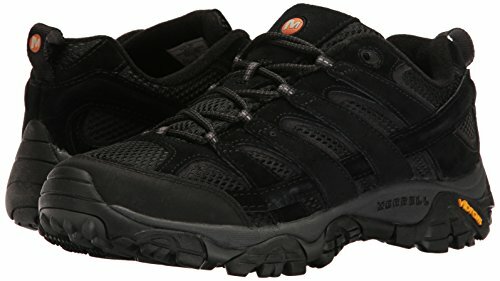 This vented hiking shoe will keep your feet cool by moving or wicking sweat away from your skin. They are water resistant but not waterproof; if immersed or heavily splashed, you’ll likely get wet. However, the closed-cell foam tongue padding should keep you from getting swamped in high water. These shoes also pack light and wear long. If you love the sturdy sole of a hiker but hate the weight, you’ll love the Merrell Moab 2 Vent hiker; the breathable mesh structure reduces the physical weight of the shoe in backpacks, suitcases, and, most importantly, on your legs! 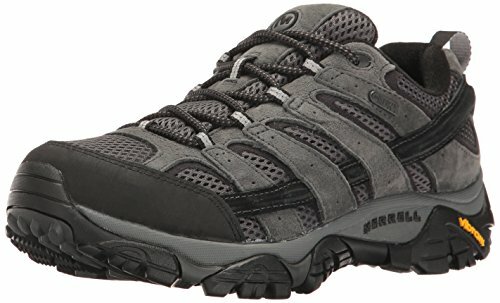 Your Moab 2 Vent hiking shoes for men offer plenty of grip and stability. The molded sole is built to support your foot well and to move anything that ruins your grip such as mud or water, out from under your feet. The feel of a high lace hiker in a low collar shoe! The Vasque Mantra 2.0 is built especially for hikers and runners with a bit flatter foot; those with a high arch may need to look at another brand. The sueded leather upper is built to resist water. Portions of the upper are built of breathable mesh, so if the water is high you may get wet! However, these shoes have a high degree of water resistance for most users. The molded rubber sole of the Vasque Mantra 2.0 is built to keep you moving forward and to clear away anything that might mess with your grip. The channels in the bottom of these hikers provide plenty of water clearing direction. In addition, these hikers are quick to lace so you can get back on the trail. This hiker is built for rough, uneven terrain. While many hiking shoes have a molded rubber sole built to clear water from solid surfaces, such as rocks in the rain, this hiker has a rough, nubby sole, ideal for gravel and small rocks. This is also a slimmer shoe than many hikers. Yes, there’s plenty of padding and support, but rather than the wide rubber sole commonly found in hiking boots and shoes, this sole is a bit narrower, molded more closely to the arch of the foot, and more of a running shoe design. 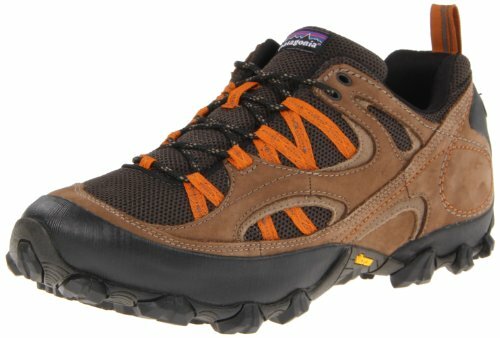 The Patagonia Drifter A/C Hiking Shoe will give you great support no matter the conditions of your hike. The design of this hiker offers multiple layers of air and cork cushion for all day comfort.